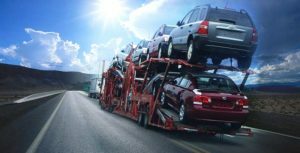 When shipping your vehicle from the United States to Europe, the price will start from around seven hundred and fifty dollars to two thousand for a large-sized car. The weight and volume are taken into consideration when shipping and that includes vehicles. If you opt to ship using a container a twenty-foot container will cost three thousand two hundred dollars, to ship a forty foot container will cost four thousand six hundred dollars. A forty foot container can hold forty-seven thousand pounds. You can also send some household items in the container at the same cost which could save you some money. These are the typical documents that you would need to transport your vehicle by sea. You may need some extra documents that may include a notarized power of attorney and in some cases, you may find that you need an import approval. You should make sure that you fill out an inspection report that will detail the exact condition of the vehicle. Also, make sure you include some photos in your report. This will allow you to be in a position to lodge a claim if the vehicle is damaged in one way or another. The price of shipping your car by sea will be cheaper in comparison to air shipping. Roll on roll off is the cheapest of all transport methods but it exposes your vehicle to more damage, from the sun and other natural elements as well. If you opt to use the roll on and roll off fewer things will need to be taken from the vehicle as the car will need not be in working condition to be driven on and off the sea. If you are shipping by contained some things like gasoline and battery may need to be taken out for safety reasons and the same applies for air shipping meaning that it would take some time even after your car arrives to get it back to an operational condition.